“Grandpa took the highway to heaven,” on the early morning of March 30, 2019. He was born April 25, 1960 to Titus and Moneita Aaron in Rantoul, Illinois. He graduated from Clearfield High in 1978. Shortly after, he enlisted in the army. He married Mary “Gean” Petersen on August 25, 1979 and in their 32 years of marriage they had four children: April (H.D.) Genta, Christopher (Kacey) Aaron, Rabecca Craft, and “The Baby” Danna (Ken) Pilarczyk. After retiring from his service in the army in 1985, the family moved to St. George, Utah. That’s where he love to fish, hunt, camp, and do anything in the outdoors. In 2001 the family moved to Ogden, Utah, where his children settled down and gave him 10 amazing grandchildren. Over the years, he acquired many close friends that he loved as his own. He had many jobs in his life that he loved. From the army to being a long haul trucker. In 2015 he married Regina Malcolm and they later separated. He is survived by his four children; a brother, Butch Aaron; and a sister, Melody (Pat) Hurley. He was preceded in death by his parents and one brother ,Titus Jr. Aaron. Grandpa’s gone fishing at the big lake in the sky. He said he will see us all at that lake one day. The family would like to thank the VA hospital and encompass hospice for their services. 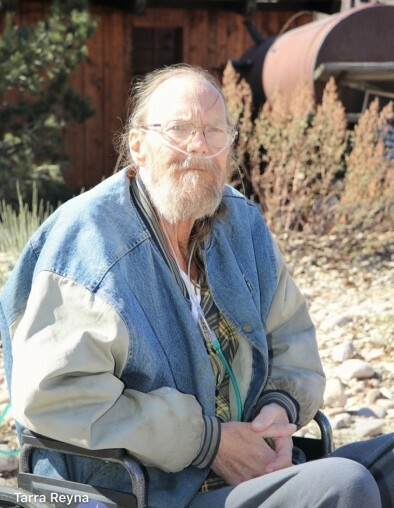 A celebration of life will be held promptly at 12:30 PM on April 6, 2019 at Cold Springs Trout Farm, 2284 Fruitland Dr, Ogden, UT. A potluck luncheon will be served.